For those that enjoy sweets but want to stay true to an all-natural product the best option is honey but not just anything that you can buy off the store shelves but rather a truly unique and tasty product that exceeds all expectations. Raw Manuka honey comes directly from New Zealand beekeepers that spend their days collecting this product from their farm. In addition, Kamahi honey is another great product that is unique to this region and is favored by individuals who don’t even like honey. The reason is the flavor of this particular product that tastes more like ‘honey butter’ and less sweet than what people are used to eating. The best part is that both of these items can be used as a natural sweetener in desserts, teas, on biscuits and as an ingredient in savory dishes. They can be ordered from reliable online retail suppliers that guarantee their purity and raw honey quality with no substitutions or additional ingredients that dilute the taste and consistency. 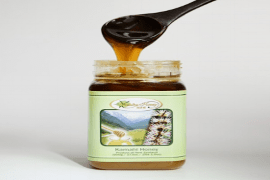 Manuka honey has a caramel color and flavor that is irresistible to those who try it at least once and find that they have to order it again to keep it in stock. Kamahi honey is ideal for breakfast biscuits as a touch of natural sweetness that even kids will enjoy and parents like it because it is healthy for them. Create your own BBQ sauce using this as one of the ingredients and you will have a new secret recipe that is perfect for chicken, ribs and burgers and everyone will want to have it repeatedly. It may be easier to buy honey at the local store but when you want a product that is guaranteed to be of high quality and delicious taste than you need to go online and order straight from the source. All orders of Raw Manuka Honey are shipped in a timely manner and you may even be able to get a discount on shipping depending on the size and location. Retailers promise that once you try it you will never want to go back to the other because it is that much of a difference.